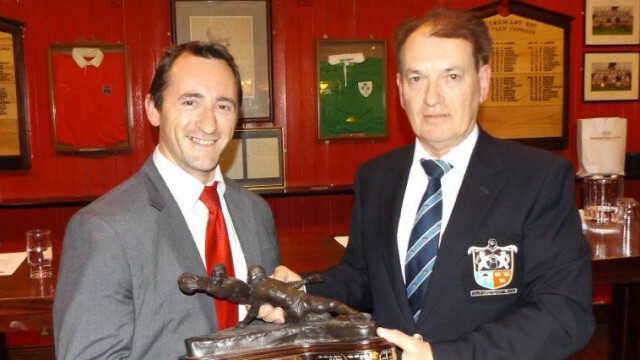 Tommy Pratt was presented with the Clubman of the Year Award by outgoing President, Dr Michael O’Flynn, at our recent AGM. The Award is richly deserved and Tommy continues to work hard for Old Crescent RFC, having recently been selected as the Club’s Chairman of Rugby for the 1015-16 season. Congratulations, Tommy, and best wishes for the new season!